Today, or a day very close to today, is figured to be D&D's birthday. 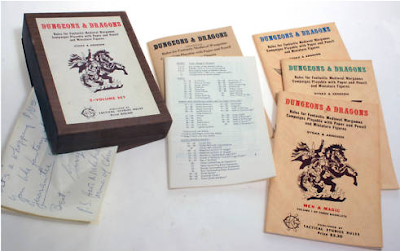 It represents the day in 1974 when the first Dungeons & Dragons sets were offered for sale. I've been neck-deep in D&D for 36 of those 40 years, and for 33 of them I've earned my living from it. That makes this a pretty momentous occasion for me. An occasion that should be marked by a heartfelt, nostalgic, forward-looking essay about all the wonderful things D&D has brought to my life. At the moment, however, I'm writing the first set of adventures that will be published for D&D Next -- Tyranny of Dragons, look for it this summer -- and I'm behind on my deadline (I'm always behind on one deadline or another, it seems). So instead of taking time away from a paying gig to write my own essay, I direct you to a marvelous piece written by Mike Selinker on Schrodinger's Blog. 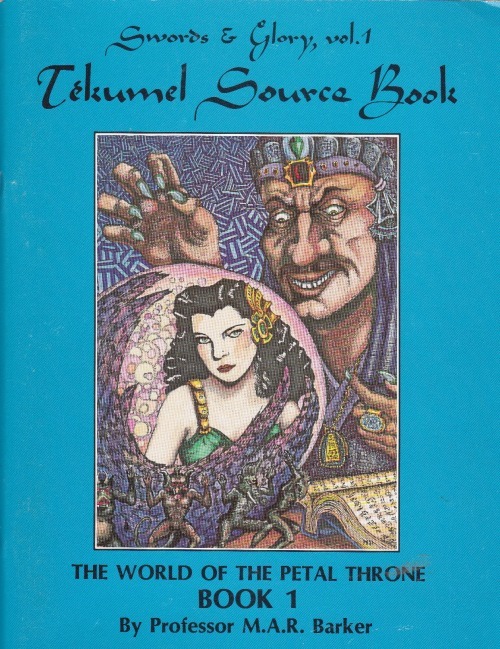 I did have time to join in Kobold Press's celebration of D&D's birthday, along with great friends from the RPG industry such as Zeb Cook, Wolf Baur, Ed Greenwood, Bruce Cordell, Jeff Grubb, Stan!, the inestimable Mike Selinker (where does he find the time? ), and many others. Happy birthday, Dungeons, and you too, Dragons! It's hard to imagine the path my life might have taken without you.